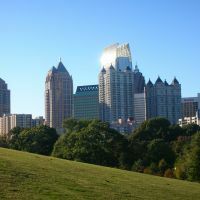 The city of Atlanta is the capital of the state of Georgia. It has more than 420 000 inhabitants. Being the place of residence of two professional sports teams, Philips Arena, is the ideal place to attend Hawks and Dream basketball games. Shows and concerts of international reputation are also presented there. Whether for a sporting or musical event, our box office will know how to find you the very best seats.